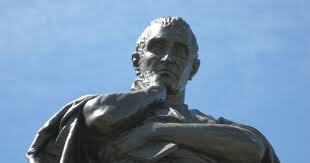 speaking of Ovid . 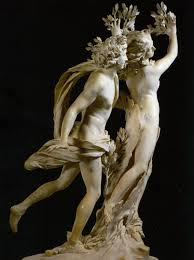 . .
and his Apollo and Daphne. Your husband? Going to the same dinner as us? I hope it chokes him. I explained to our class that Ovid was a cosmopolitan, sexually-frank writer — hip, funny, daring, a bit sacrilegious, ironic, deeply connected to Rome, an incredible poet. “In today’s world, he’d be a blogger, maybe for Salon, or like . . . ” I fumbled for a comparison. “Like Jay Ponteri,” one of our group offered. What do you think? Check out Jay Ponteri’s new book Wedlocked to decide. 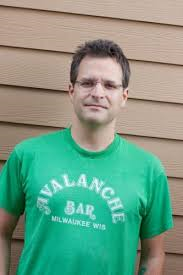 Note bene: Jay Ponteri is an Assistant Professor in the English Department of Marylhurst University. 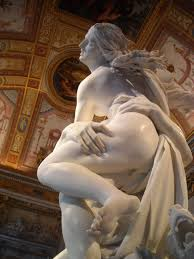 Gallery | This entry was posted in Uncategorized and tagged Bernini, Borghese Gallery, EternalCityMu2013, Jay Ponteri, Meg Roland, Ovid, Rome, Rome Study Abroad, Wedlocked. Bookmark the permalink.